Biblical references to Gilead (a region near the Jordan River) describe its plants as having healing properties. The African-American ­spiritual, "There Is a Balm in Gilead," equates Jesus with this balm. According to some sources, the Hebrew origin of the word simply means "rocky area." 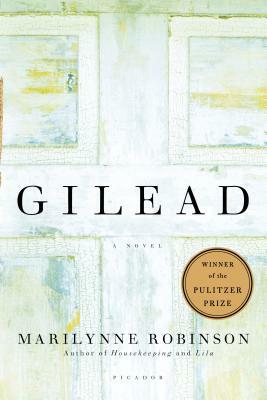 Do these facts make Gilead an ironic or symbolically accurate title for the novel? The vision experienced by John's grandfather is a reminder that the Christ he loves identifies utterly with the oppressed and afflicted whom he must therefore help to free. What guides John in discerning his own mission? How does John feel about his brother's atheism in retrospect? What accounts for Edward's departure from the church? What enabled John to retain his faith? The rituals of communion and baptism provide many significant images throughout the novel. What varied meanings do John and his parishioners ascribe to them? What answers would you have given to the questions John faces regarding the fate of souls and the nature of pain in the world? Marilynne Robinson included several quotations from Scripture and hymns; John expresses particular admiration for Isaac Watts, an ­eighteenth-century English minister whose hymns were widely adopted by various Protestant denominations. Are certain texts divinely inspired? What is the role of metaphor in communicating about spiritual matters? Is there a difference between the ways religion manifests itself in small towns versus urban locales? Did the history of Iowa's rural communities and the strain of radicalism in Midwestern history surprise you?